FarmVille maker Zynga is trading in its rural farmland for a dee-luxe apartment in the sky. No, FarmVille's not going anywhere, but the social game studio recently announced a beta version of a new Facebook game called CityVille. Instead of raising livestock and harvesting crops, social game fans will be able to create their own cities complete with businesses, restaurants, cafes, retail shops and apartment buildings. Think of it as Zynga's take on SimCity, but with a much bigger time commitment. Zynga is also adding a 3D gaming engine to CityVille so you can get a better view of the buildings and people in your cities. The company says CityVille is "the most interactive Zynga game board to date." Here's what you need to know about the upcoming CityVille. Where can I play CityVille? Just like Zynga's other social games, the main playing ground will be on Facebook. 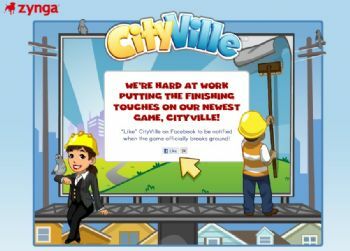 But you can also play on CityVille.com if you log in to the site using Facebook Connect. What can you do in CityVille? You start by creating buildings in your city similar to how you create farms and homesteads in FarmVille and FrontierVille. As your city goes, you start to attract more residents and you earn points for keeping the masses happy by offering trendy restaurants and retail sales. You will be able to import goods to keep your city stocked up from faraway lands such as Shanghai, London and Rome. You can also trade goods with your Facebook friends' cities and visit a neighboring metropolis. CityVille will also let you own properties and businesses in neighboring cities. Staying true to its FarmVille roots, CityVille gamers will be responsible for raising crops to feed their cities, as well as building up their new urban center. What are the CityVille characters like? At launch, Zynga says you will have access to all kinds of characters required to run a city including business owners, doctors, firefighters and police officers. As your city grows you will unlock more game characters. Zynga hasn't announced a specific launch date but it says the game will launch in the coming weeks. Can I be notified when CityVille breaks ground? If you want to be one of the first people to build a new CityVille city, make sure you "Like" Cityville's Facebook page to get timely updates. 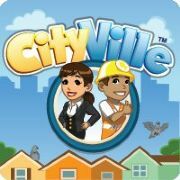 How many countries will get CityVille at launch? CityVille will be Zynga's first international game launch. It will be available in English, Spanish, French, German and Italian when it debuts. Will this social gaming madness ever end? Like it or not, social games are here to stay. Since launching FrontierVille in June, Zynga says it attracts 28 million players every month. But that number is nothing compared to the 54 million people playing Zynga's FarmVille every month, according to metrics firm AppData. The social gaming singularity is near? The one thing I'm wondering is when all these Zynga games will become interconnected into one big Zynga-style world where farmers sell their FarmVille crops to CityVille dwellers. Or CafeWorld owners rent prime real estate in the CityVille of their dreams only to be shaken down by gangsters from MafiaWars. That's pure speculation mind you, but it kind of feels like that's the next step for Zynga, doesn't it?